Hi Yukari! Well I bought 5 of these when I was in Tsukiji after your suggestion. 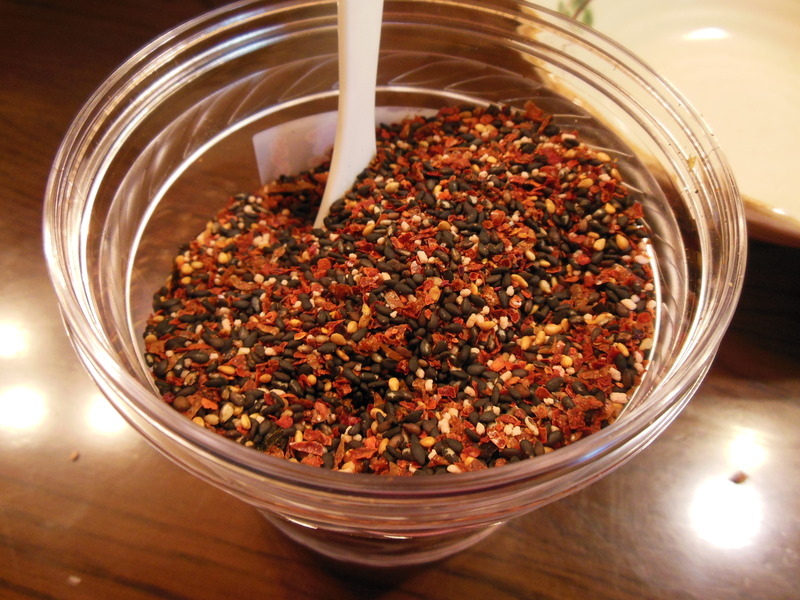 My family loves furikake and so I brought them back as gifts. You are right — addictive! I am glad you love it! Only problem is that you end up eating bowl after bowl of rice as it’s hard to stop. 🙂 Arigato Deb! You are in California? Check out Mitsuwa Market. Found it! But not exactly. 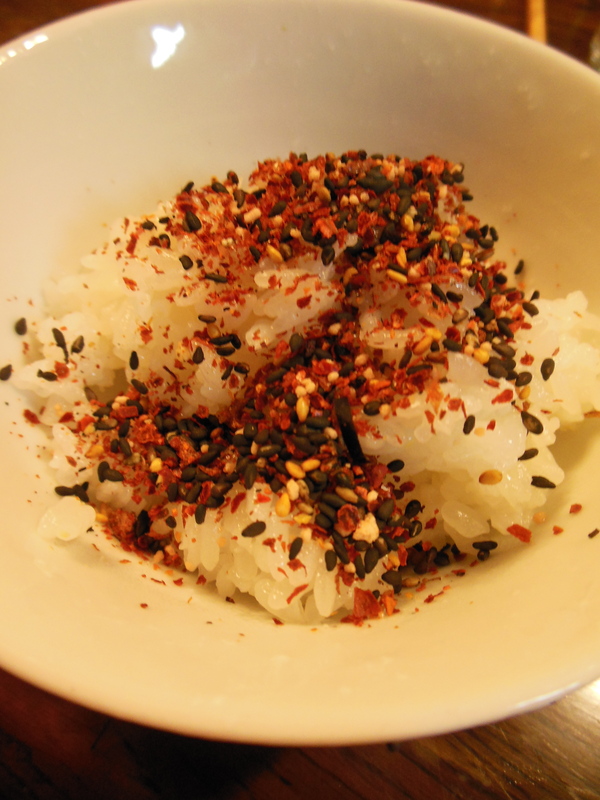 It’s called marushokisojiya taberu togarashi. It’s missing missing skipjack and mackerel flakes. Label is almost identical but not quite. There are several brands in Japan as well. It depends on which supermarket you are at. Did you like it? Yes! I like it. 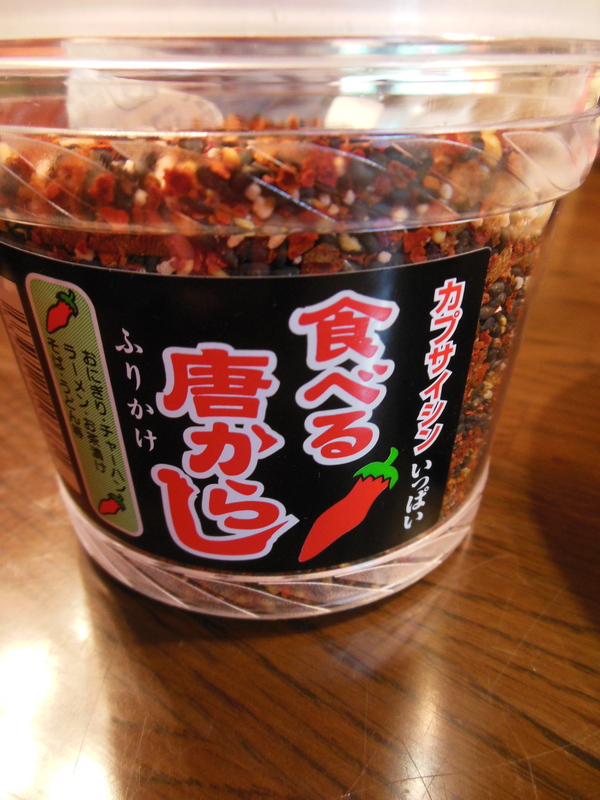 Surprised to find spicy flavor paired with rice in Japanese food. Thank youfor the rrecommendation!